As a professional animator, I can talk with some authority about some of the basic movements inside animation productions. 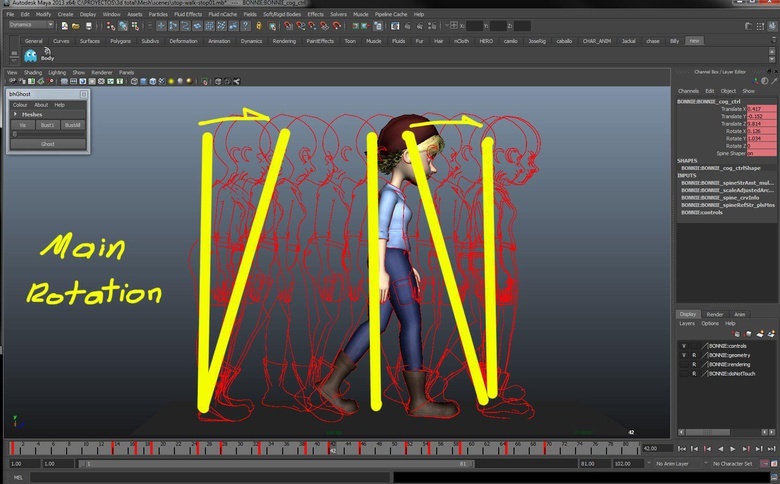 On a large-scale animation, you can use tools or cycles to develop a generic walk, stop or run, though if you want to add a little personality to your shot, you have to understand what's happening inside the curves. First, it is important to have a clear idea of the process of movement, so I begin researching types of movement and the specific influences it has on body shape and muscle so as to make the movement as realistic as possible. Personally, I prefer to make a video and interpret the mechanics in the pose, such as the relationship between the legs and hips. 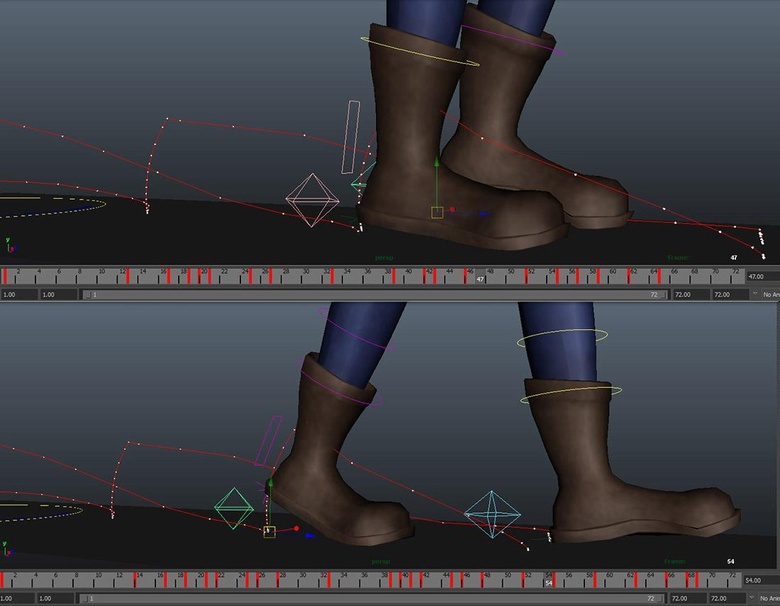 After that, we can cast some poses and play with the timing to add personality to the walk. Where is the character www.zpfl.neting from, and where are they going? What is the goal of the shot? 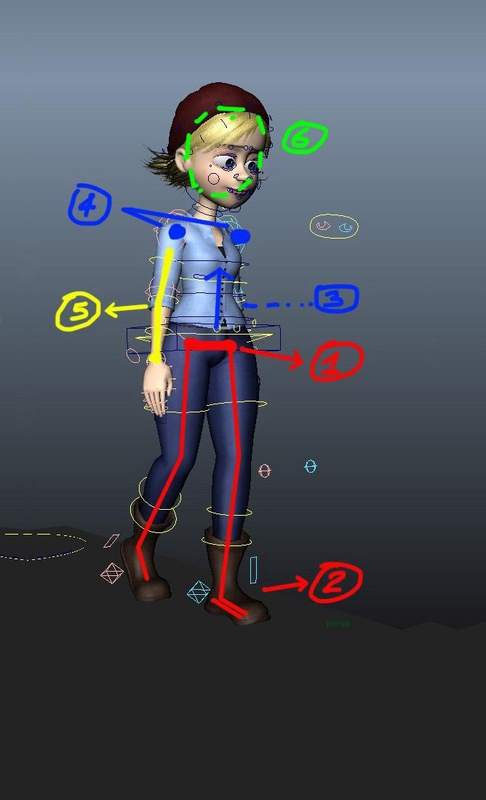 When working with a character, make sure to pay attention to its anatomical design. You may find that the proportions are not the same as the human figure you have made a reference sheet of. This means you have to adjust in each of the poses. 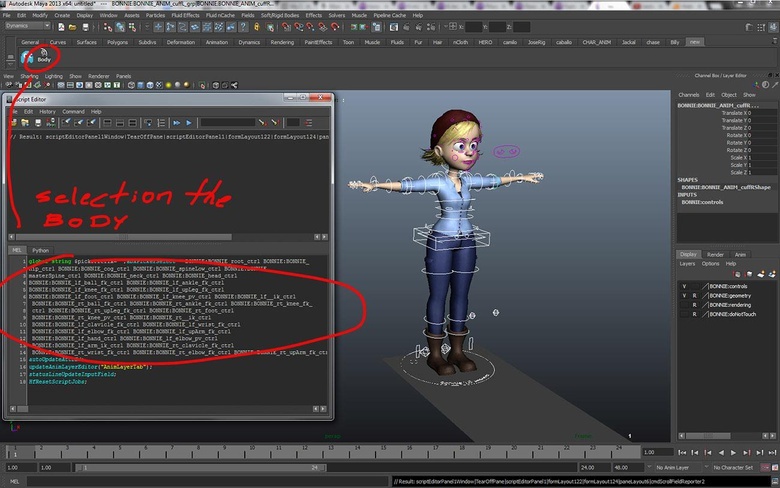 Now, with the character in Maya, make a quick keyboard shortcut that selects the whole body (Fig.02). This will make it quicker and easier to manipulate the image. Locate the Script Editor > Edit Clear History, then choose and select the keyboard controls you plan to use and drop to the main shelf to create a button. I tend to start the process with the hips and legs. Block the translations and rotations on the hips, specifically using X rotation, as we will use this to play with the balance in the body. You can tweak this curve to create an acceleration and deceleration effect (1–2) (Fig.03). Find the point of gravity of your character. It is important to get as close as possible to the center of the contact point in each pose, as any misalignment will cause your character to be off balance. Next, create basic rotations in the upper chest. From observation, I have noticed that the chest rocks in sync with the lower body. 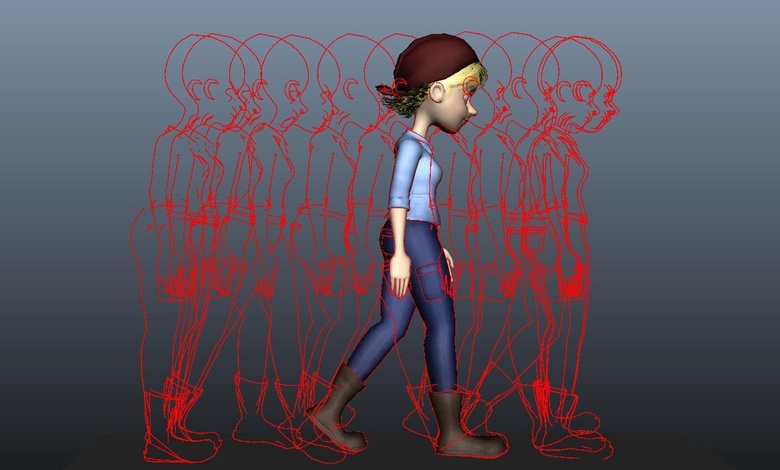 To create a realistic walk, therefore, include a main rotation on the frame of your character (Fig.04). You should also consider the shoulders; these should be thought of as the "brows" of the body, and the arms, and should be modified so as to get a nice arc in the movement later. Also, add X rotations in the head as this will www.zpfl.netplement the full body swing and make the whole animation more natural. 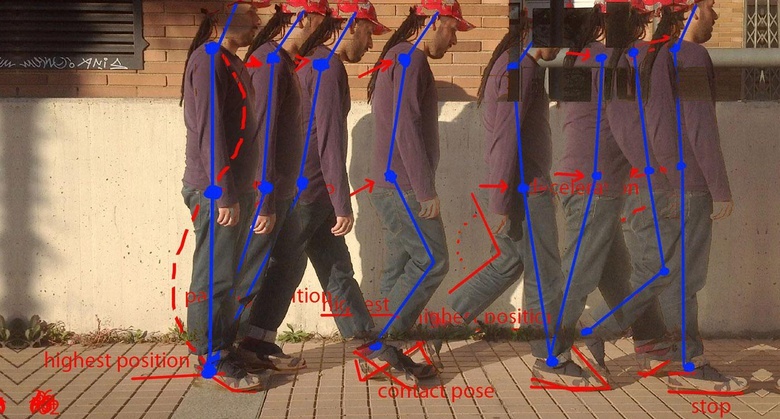 At the end of this process, check that the character has enough spacing for his body shape, and then play with the timing to make the walk more unique (Fig.05), (Video.01 – 02). As a lot of the body's movement is grounded in the hips, it is good practice to start here and move to extremities later. Add in the little rotations on the hips (translate Y), fix the pops in the knees and check the curves to ensure the movement is smooth. 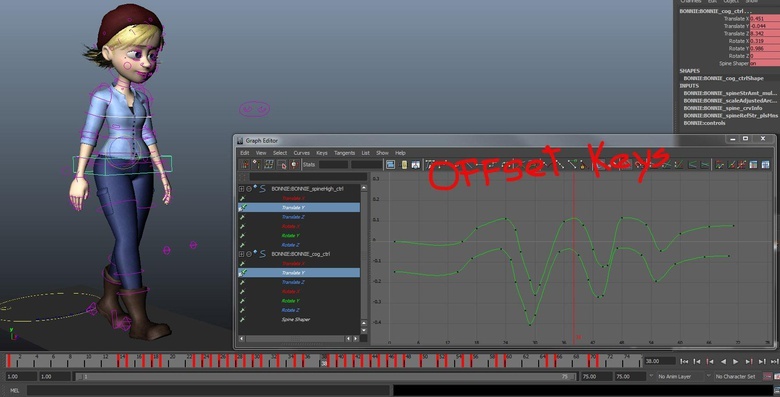 When working with the hips on a character, you can use translate Z to create the effect of acceleration, and translate Y to smooth out the ups and downs. If you copy the pattern of movement in translate Y on the hips to the upper chest, and offset the movement by one or two frames, you can mirror the movement and create the smooth ripple of movement that naturally occurs in the body (Fig.06). You can add slow ins and outs in the shoulders and arms to create contrasting curves to the hips and upper chest. Working specifically on the steps, you need to hone the foot and toe rolls. The subtlety of movement here will depend on how many keys you add in each time frame. Try to capture the weight in the foot before the roll and move them forward, though be careful with the momentum when the foot is in the air. The curve of movement should be clean. 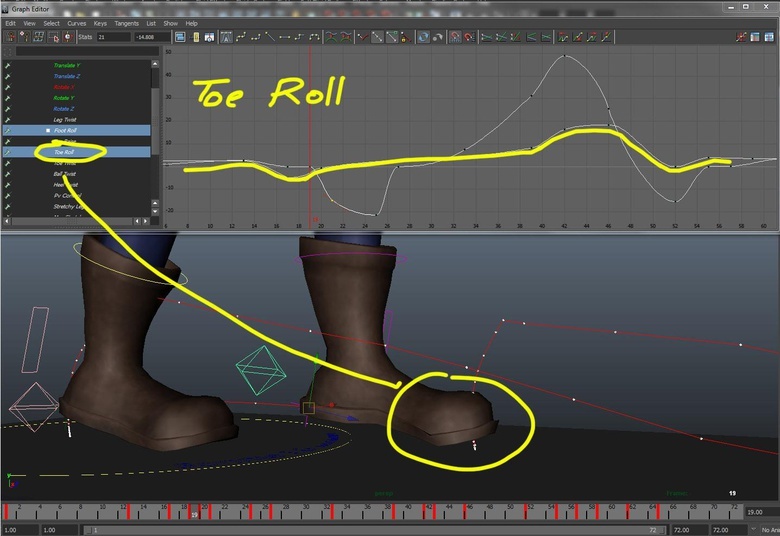 I tend to create a motion track in the feet to control the highest keys and smooth out the movement. The toe roll works in the same way, though focuses on movement at the start and end of the step. The amount of keys depends on the shoe or how fleshy you want the foot to appear (Fig.07). Fig.08 depicts the contact pose after the pass position. Take two or three frames for this movement, depending on the effect you want. It's not advisable to take a single frame, as it can look too fast for natural movement. Taking your time and allowing the character to amble or lope in a natural fashion will make the movement more realistic. Finally, you can add more details such as head accents, eye darts and some finger overlapping. These will add a few unique traits to your character's movement and should match the impression you are trying to impose (Video.03 – 05). 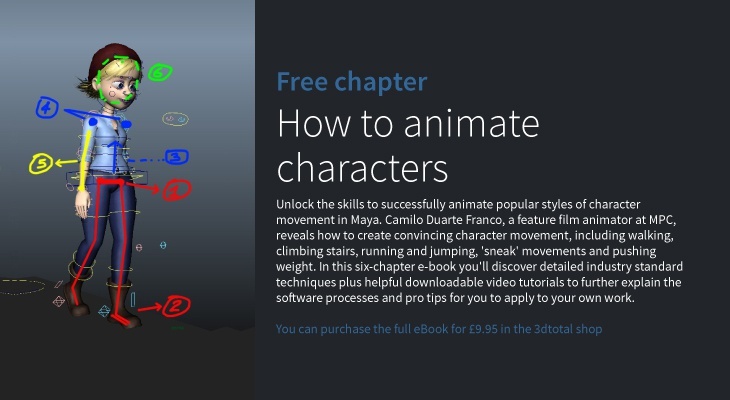 Grab a copy of this popular eBook now!